Lantana is a highly adaptable plant that grows well under a variety of conditions. In recent years, varieties of Lantana were developed that can be used in smaller planting places such as containers and hanging baskets. For planting in hanging baskets, look for the weeping varieties such as weeping lavender or weeping white. 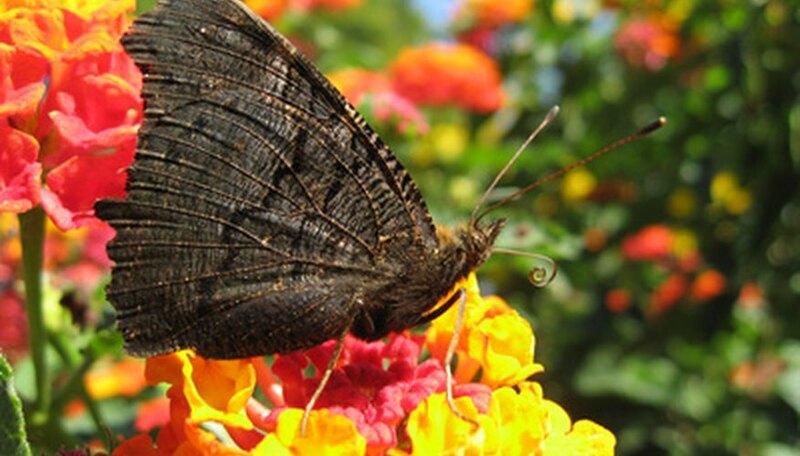 The soil used for hanging baskets of Lantana can be any good potting soil. Avoid using soil directly from the garden because it can contain insects or disease pathogens that can harm the Lantana planted in the hanging basket. Buy a Lantana hanging basket that has the largest hanging basket available. Discount stores may sell only an 8 inch basket, which is too small for a fast-maturing Lantana plant. Look for the larger 10- or 12-inch basket size. Basket size is measured across the top of the container, or is the diameter of the top of the hanging basket. Locate the Lantana hanging basket in a location that receives at least six hours of sun each day. Morning through early afternoon sun is best. Intense afternoon sun will not kill the Lantana, but dries it out more rapidly, so the Lantana needs to be watered more often. Water the Lantana hanging basket every day if needed to prevent it from wilting. In very hot weather, you may need to water it twice a day. Although you may be tempted to put it in the shade, placing Lantana in the shade decreases bloom production. If it wilts badly, continue to water normally until the majority of the plant revives, then pinch off any foliage that doesn't come back. Fertilize with a full-strength water soluble fertilizer once every 10 to 14 days after a good watering. Do not fertilize if the plant is under drought stress. Deadheading, or removing old blooms, keeps the plant looking attractive, and encourages another bloom period on some varieties.